Faculty and Staff discuss a poster during the 2018 Faculty Showcase. 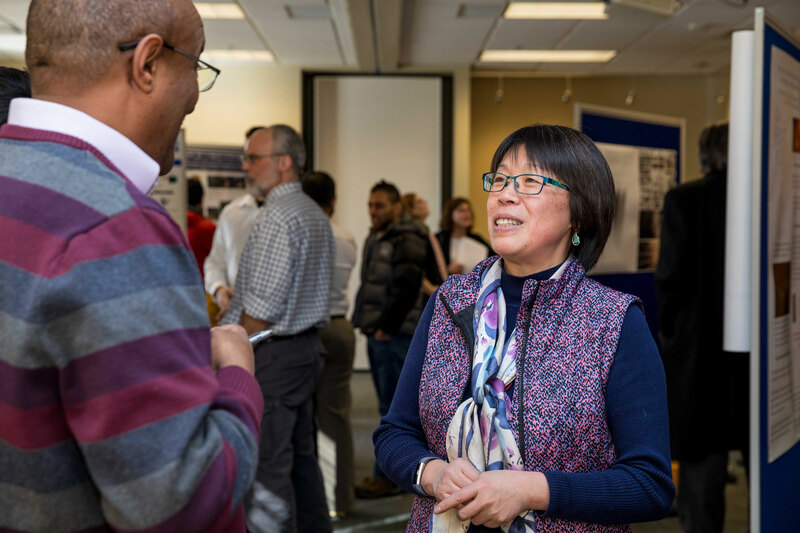 The Tuesday, February 19, 2019 Celebration of Faculty Excellence event will feature faculty posters, visual arts and publication displays. The campus and community are invited to attend and see the scholarly, research and and creative activity of SDSU's faculty and staff. Scholars and researchers will be at their displays from 3-4p.m. Those interested in displaying research, visual arts or scholarly work, click here.